Description: Architects and designers now work on more and more projects with a global reach. A better understanding is required not only of how to specify products anywhere in the world, but how to communicate and conduct business with colleagues in many different countries. Focusing on hospitality bathrooms, this course begins with an overview of global hotel design trends and the product options available, and then provides guidance on business practices and bathroom design preferences around the world. 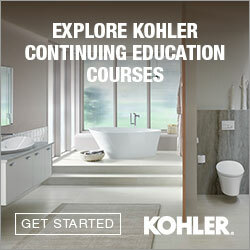 Angie Malanick is a Global Training Manager for Kohler Co., with over 18 years’ experience in the plumbing industry focusing on kitchen and bath products. She has experience in creating product specific e-learning training modules, developing product specific training curriculum, as well as facilitating and delivering training to various audiences around the world. AIA approved course. This course qualifies for 2.00 LU/Elective Hours. 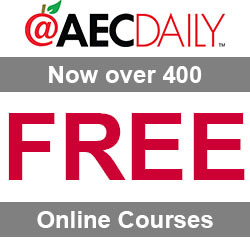 AIA approved course. This course qualifies for 2.0 LU Hour. BOMI approved course. This program qualifies for BOMI Institute Continuing Professional Development (CPD) credit for RPA, FMA, and/or SMA graduates. This CEU is registered with the Interior Design Continuing Education Council (IDCEC) for continuing education credits. This credit will be accepted by the American Society of Interior Designers (ASID), International Interior Designers Association (IIDA) and Interior Designers of Canada (IDC). The content included is not deemed or construed to be an approval or endorsement by IDCEC of any material or construction or any method or manner of handling, using, distributing or dealing in any material or product. Questions related to specific materials, methods and services should be directed to the instructor or provider. This program is registered for 0.2 CEU (continuing education credit). 0.2 CEU toward certification renewals. 1 Hour toward certification application. You need to be logged in to download the course materials for Hospitality Bathrooms Around the World: Trends, Cultures, Codes, & Products.